Winter's here and the days are colder, but that doesn't mean you can enjoy a bit of ice cream when your sweet tooth strikes. Rather than pick up something from the supermarket, why not make your own at home? You don't even need an ice cream maker — elbow grease will serve you just fine. The key ingredients are "heavy" whipping cream (pure cream in Australia) and full-fat milk, as Matt Taylor explains in the video above. The rest are mostly for sweetness and taste, so feel free to experiment, say with instant coffee or leaving out the chocolate elements (for vanilla ice cream). The mixture is then put into a large, sealable plastic bag. The only "hard" part is the fact you have to shake the bag for 10-15 minutes, so you'll want to find something you can do in the meantime, such as watching TV or planning an Ocean's 11-style casino heist. The weather is warming and my thoughts have turned towards ice cream. 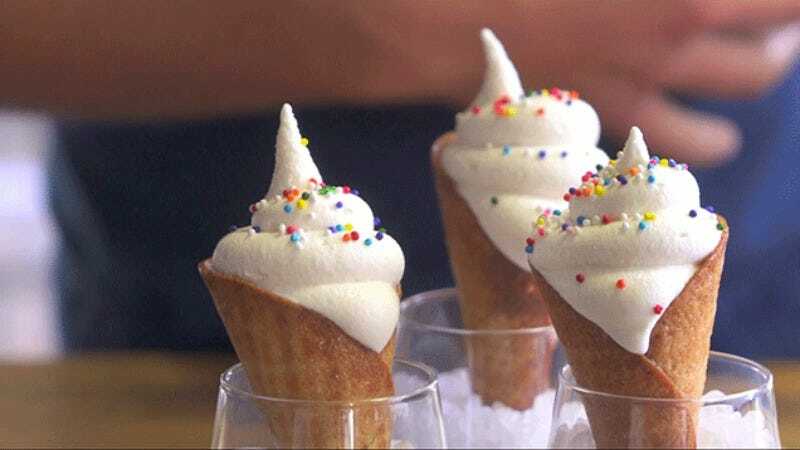 There's something extra satisfying about whipping up your own frosty treats, but not everyone has an ice cream machine. Let's run through a few of our favourite frozen desserts that you can make without any special equipment.